Multivariate imagery is now a very common tool in numerous applications, ranging from satellite remote sensing and astrophysics to biomedical imagery, monitoring of the environment or industrial inspection. Multivariate must be understood in th emost general way: color and multispectral imaging, but also multimodal, multisource or multitemporal imagery. In all the cases, the multivariate image corresponds to a set of standard grey level images. The availability of the additional diversity, be it spectral temporal and s.o., provides an invaluable source of information, enabling to consider a wide range of new applications. 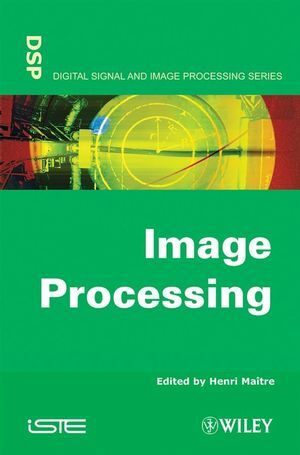 However, in order to address these applications, theoretical developments are required in terms of signal and image processing, or, more generally speaking, information processing. As a matter of fact, most of the standard algorithms designed for grey level images do not generalize easily to multidimensional spaces and some specific derivations are required. 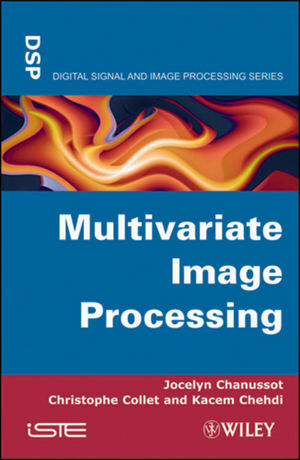 This book aims at presenting the most recent advances in signal and image processing for the analysis of multivariate data. 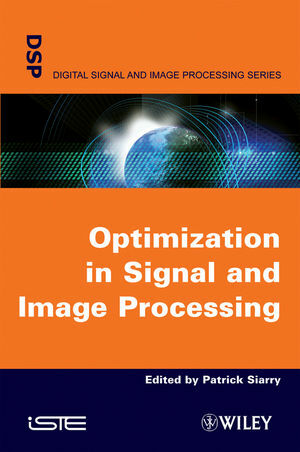 It should be helpful for electrical engineers, PhD students and researcher working in the field of signal processing, but also for any engineer dealing with some specific application where multidimensional data are processed. Christophe Collet received the MS degree in signal processing from the Université Paris-Sud Orsay in 1989 and received the PhD degree in image processing from the University of Toulon in 1992. He spent eight years at the French Naval Academy and was the chairman of the laboratory GTS "Groupe de Traitement du Signal" from 1994 to 2000, where he developed hierarchical Markovian approaches for SONAR image analysis. Since 2001, he has held a full professor position at Strasbourg University (LSIIT UMR CNRS 7005). Jocelyn Chanussot (IEEE M'04 - ; SM'04) received the M.Sc. degree in electrical engineering from the Grenoble Institute of Technology (INPG), Grenoble, France, in 1995, and the Ph.D. degree from Savoie University, Annecy, France, in 1998. In 1999, he was with the Geography Imagery Perception Laboratory for the Delegation Generale de l'Armement (DGA-French National Defense Department). Since 1999, he has been with INPG, where he was an Assistant Professor from 1999 to 2005, an Associate Professor from 2005 to 2007, and is currently a Professor of signal and image processing. He is currently conducting his research at the Grenoble Images Speech Signals and Automatics Laboratory, INPG. Dr. Chanussot is an Associate Editor for the IEEE TRANSACTIONS ON GEOSCIENCE AND REMOTE SENSING and for Pattern Recognition. He is the Cochair of the GRS Data Fusion Technical Committee and a member of the Machine Learning for Signal Processing Technical Committee of the IEEE Signal Processing Society. He is the founding President of IEEE Geoscience and Remote Sensing French chapter. He was elected a Member of the IEEE Geoscience and Remote Sensing Society AdCom (2009-2011). Kacem Chehdi (IEEE M'95) received the Ph.D. and "Habilitation ? diriger des recherches" degrees in signal processing and telecommunications from the University of Rennes 1, Rennes, France, in 1986 and 1992, respectively. He is currently with the University of Rennes 1, where he was an Assistant Professor from 1986 to 1992, has been a Professor of signal and image processing with the Engineering School of Applied Sciences and Technology (ENSSAT) since 1993, was the Head of the Analysis Systems of Information Processing Laboratory from 1998 to 2003, and has been the Head of the Signal and Multicomponent/Multimodal Image Processing Laboratory (TSI2M) since 2004.